We have a shipment on the water and are expecting arrival the 1st week of May. The Naniwa Sink Bridge is an excellent way to hold your waterstones directly over your sink, providing easy access to water. No buckets or spray bottles required. If you need more water, just turn on the tap. It makes for neater sharpening and faster cleanup as well. No more water running all over your workbench or counter top. 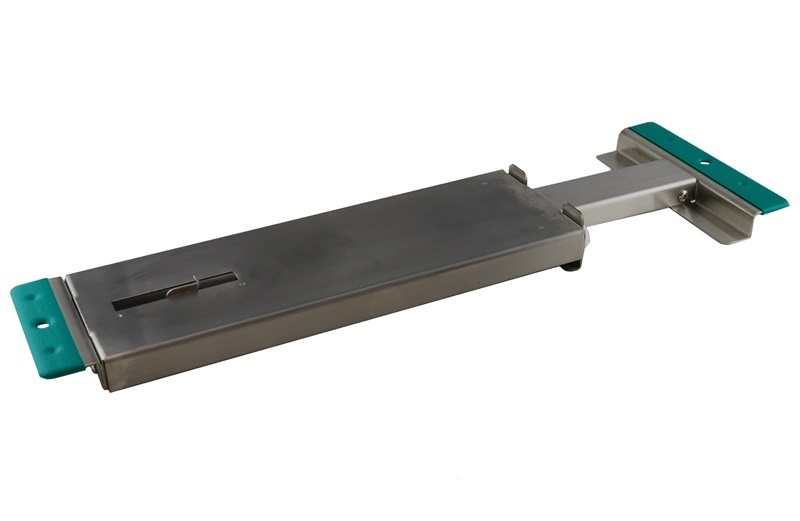 The Naniwa Sink Bridge is made of sturdy stainless steel and is adjustable to fit sinks from 15-3/4" to 22" wide. It holds stones from 8" to 9-7/8" long. The supporting surface is 3-7/8" wide. 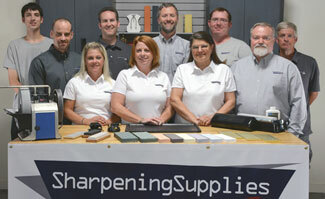 Ample room for Naniwa Traditional, Sharpening, Specialty Sharpening and Professional stones. Q. Can the Naniwa Sink Bridge hold stones shorter than 8" long? A. 8" is the length between the stone holders when they are adjust to the shortest possible position. Stones shorter than 8" would require shimming to be held in place. Q. Can the Naniwa Sink Bridge hold stones other than Naniwa brand stones? A. Yes. It will hold any stone between 8" and 9-7/8" long.